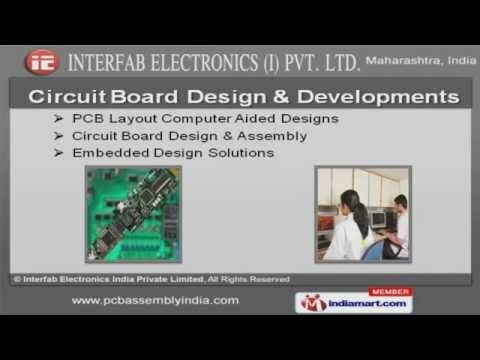 Welcome to Interfab Electronics India Private Limited. Manufacturer of Circuits Boards, PCB Assemblies & Allied Products. Incepted in 1992, at Navi Mumbai, we are an ISO 9001:2008 & SMERA certified company. We cater to Indian Subcontinent & Middle East. Super Electronics & Maxim Peripheral Pvt. Ltd. are some of our prestigious clients and we are backed by Capacious warehousing unit & Total client satisfaction. PCB Assembly, Circuit Board Design & Electronics Manufacturing Services are some of our products & services. We offer PCB Assembly & Printed Circuit Boards that are in huge demand across the global markets. Our Circuit Board Design & Developments are available at industry leading prices. Electronics Manufacturing Services & Fine Pitch Soldering offered by us are best in the industry. We also provide Micro Circuit Assembly & Embedded Design Solutions that are a class apart. Our Hybrid Micro Circuits & Ball Grid Arrays are nothing but the best solution for all your needs.